I want this car. Unfortunately, they're unobtainable. For example, Car and Driver magazine did a story on the $4Million "death coupe". They also did a story on the FIA GT-championship-winning Cobra Daytonas, which tells you a lot of why I want this car. 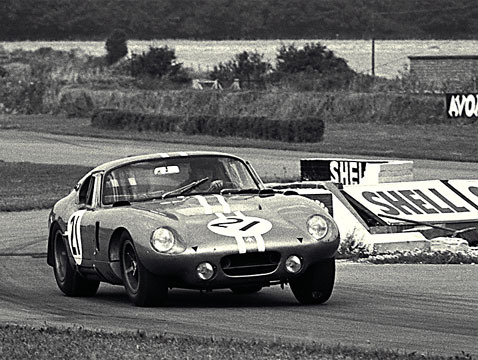 "I shot these during practice for the 1964 Goodwood Tourist Trophy. 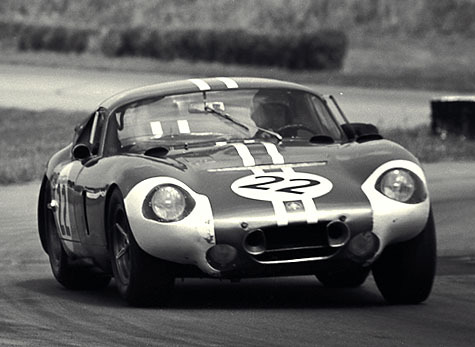 Phil Hill was driving one, and I believe Dan Gurney was driving another." - Evan Gamblin. 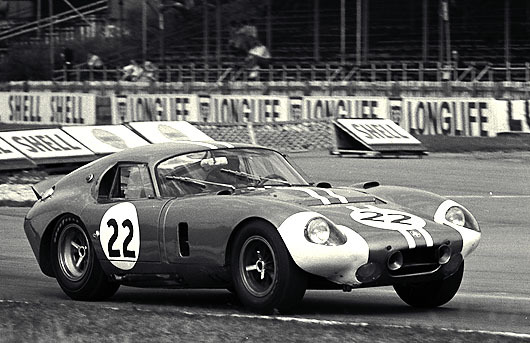 Car 21's driver definitely looks like Dan Gurney in the first shot below. This modern-day kit is the closest I could find to the original (and not costing bespoke prices). The chassis is well-suited to the track, where it would live. What an awesome car to run in Targa Newfoundland! Return to Seko.ca | Return to 944's and More! 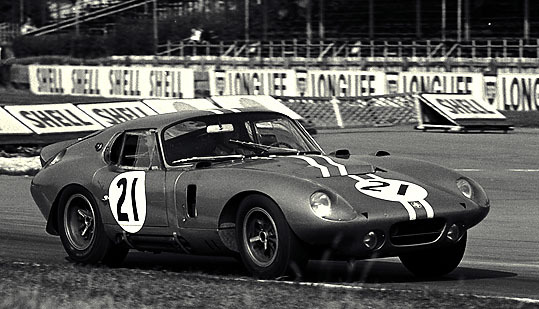 Images from www.factoryfive.com and Evan Gamblin. Copyright 2003 - Craig Seko. [email protected] All rights reserved. Usual disclaimers apply.